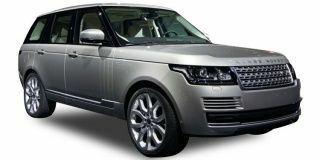 Land Rover Range Rover 5.0 Petrol LWB SVAutobiography is the top petrol variant in the Range Rover lineup and is priced at Rs. 4.05 crore (ex-showroom, Delhi). This base variant comes with an engine putting out 557.86bhp@6000-6500rpm and 700Nm@3500-5000rpm of max power and max torque respectively. The gasoline motor comes mated to 8-Speed Automatic transmission which is quite a joy to use. Land Rover claims an average of 7.8 kmpl for this top 5.0 Petrol LWB SVAutobiography variant.